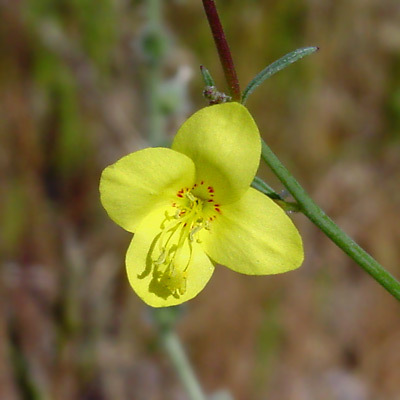 Description: The flowers are up to 1 inch (2.5 cm) across and have 4 petals and 4 reflexed (backward swept) sepals. 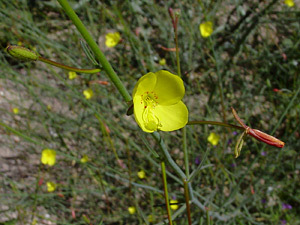 The petals are often spotted with red at the base. The seed pods are slender and bent downward. The sparse stem leaves are linear, while the basal rosette leaves are wider and pinnately lobed.